With the Isthmus Jacket you’ll never have to choose between seeing what’s around the next bend or calling it a day. 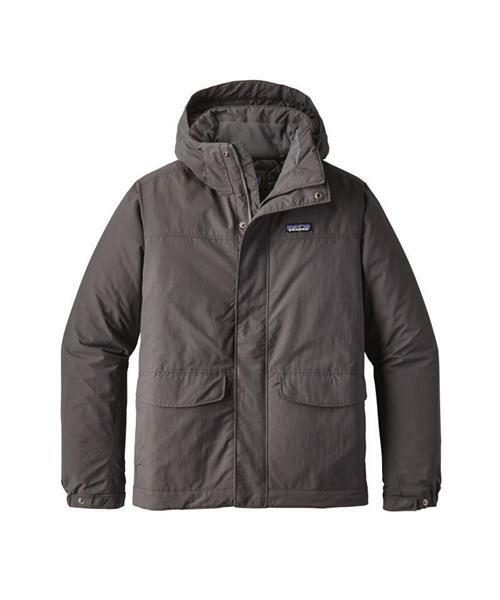 This versatile wind- and-weather-resistant jacket lets you stay outside when the weather turns drippy and keeps you warm when the temperature drops. It has a limber 100% nylon (38% recycled) plain-weave fabric shell and a DWR (durable water repellent) finish to shed moisture and increase durability. The lightweight 100-g Thermogreen® polyester (92% recycled) insulation wraps you in warmth, feels soft and continues to insulate even if wet. Inside, a smooth lining wicks moisture and glides over layers. The 2-way adjustable removable hood is insulated for additional warmth and a laminated visor protects while preserving visibility in bad conditions. The zipper and collar are protected by an external storm flap that secures with hidden snap closures and an interior storm flap. A zipper-garage protects your chin and a brushed, jersey-lined collar is comfortable against your neck. The Isthmus has zippered handwarmer pockets lined with brushed jersey fabric, two top-entry pockets with flaps and an internal zipper pocket with headphone compatibility. Adjustable, elasticized cuffs and a dual-adjust drawcord hem seal out cold air and gloomy weather.